The long waited second statements; either they are not-good, good or sometimes real good. I don’t know why is like that but usually or at least the past 5 or more series I read the 2nd parts are not what you would expect. Probably the author wants to fill in the blanks and leave all the good parts for the next one, perhaps what happens it is what the characters wanted you to know or simply, it just did not hold your attention because there were only some good parts in it, enough to make it a short story but not a full book. The fact that the books I am about to name are listed here, is because of one of the reasons above, not because they were completely bad as in really terrible, that is not it (not for all of them). You still read them, you still need to know what happens in order to move on to the next book. I’ll go back in time a bit, years ago and said that, New Moon (The Twilight Series), oh dear lord, I don’t enjoy talking badly about books but when I read that if I would have been a weaker minded person I would have cut my veins, pass the vodka because (spoiler alert) Edward left me, actually that wasn’t the problem, it was how Bella was, on the floor, not eating not drinking, no nothing, come on! And so it was Anastasia (50 shades) in… Yes! The second book (because those two are the same book, minus the adult parts in one). 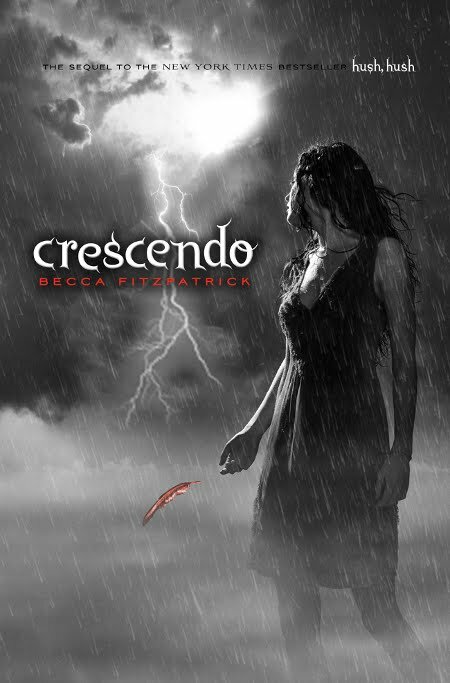 Crescendo (Hush Hush Series) I spent the whole book waiting for the worst part to pass, I was reading more out of finishing it and get to the third, don’t get me wrong, I do love Hush Hush in general but Good Heavens! We have to be realistic sometimes. I was going to say that City of Ashes (TMI) was also a bit on that side but not so much, only at moments and that is what I’m trying to say: at times, at specific moments you go and say: what is this? Someone cannot possibly think like this. And I’m talking about the heroines of course, either way the second books serve to explain things and have the main characters suffering a bit, why? It still eludes my mind. Onyx (Lux Series) same story, the heroine making stupid decisions, although I liked it, I can’t be blind or partial because of my love for Daemon Black. Now, HP and The Chamber of Secrets was not like that, I know the nature of it, cannot be compared with others but they are seconds; other one, A Clash of Kings (A Song of Ice and Fire) highly interesting, the best chapters as usual being the ones of Daenerys (*smiling*). See? Not all seconds have to be depressing or diminishing. Triad (Idhún’s Memories) is the second one in the trilogy and is one of the best books I have read in my life. The Two Towers (The Lord of the Rings), do I need to say anything else? Exactly. The Subtle Knife (His Dark Materials) another great second book. Where She Went (if i stay series), that is one good book. I found it incredibly interesting, maybe it was Adam, maybe it was how Gayle wrote it but it was captivating. So no, I don’t understand why, sometimes, all goes south in the 2nd statement of a saga. I would go on but I think I have made my point clear, there is no need to put main characters and readers through miseries in the Whole or nearly the whole book, I know they mature or should and those difficult times help them in their lives but still, why on the seconds? It could be on the first book or the third or fourth or more, it only makes me think, why the second? If you agree, share. If you don’t then share this as well, only joking. Let me know what you thought of this piece, and if you have another example of a bad second book. Hello, dearies. I appreciate your visit. Sorry if the ads bother you, I know that they can be a bit annoying, but as you know here are my thoughts on books, and they are free for all, so please disable your Ad-Blocker if you have one. Thank you, happy reading! Hello, again readers. Please note that some of the links on the blog are ‘affiliate links’.